Weekly Pool and Spa Service in the Roseville, Rocklin, Granite Bay, Folsom, and El Dorado Hills surrounding areas. Proudly serving the community with perfect pool service for 3 generations. Swimming pool service is our passion and our tradition. We have a pool service plan to meet anyone’s budget needs while exceeding expectations. 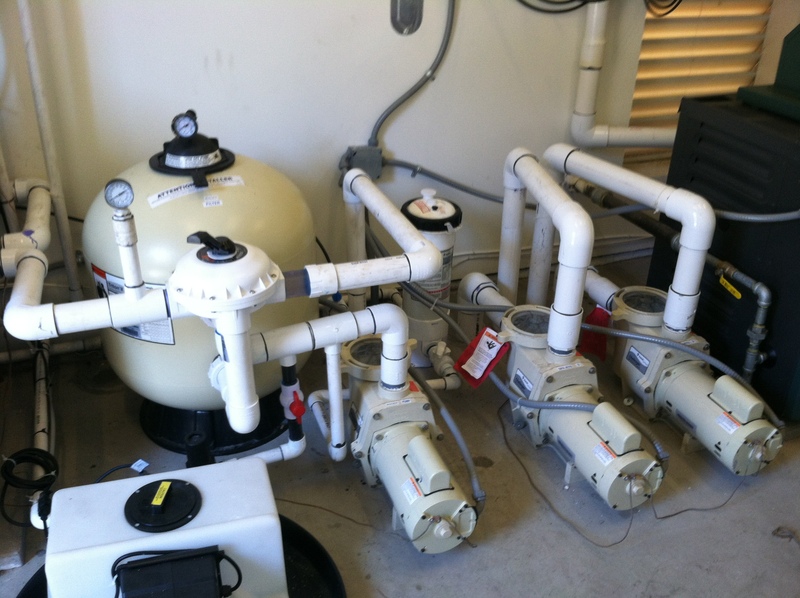 We specialize in complete water chemistry knowledge, swimming pool equipment, optimizations, and repairs. We proudly produce written reports via our pool inspection services to outline everything involved with your new swimming pool. Déjà Blue Pool Service is a full service swimming pool service company servicing the entire Roseville area of Sacramento and Placer counties for the past 31 YEARS. We offer several pool and spa services options for our weekly service customers as well as one time customers. We specialize in Weekly Pool & Spa Service, Pool Equipment Repair, Replacements, and standard equipment maintenance. We proudly serve Swimming Pool Inspections, Pool Tile Calcium Cleaning, Acid Wash, and Pool Drain Services. All services are priced to fit any budget, while still exceeding your standards for quality. Weekly Chemical Pool Service Our value package. Includes weekly chemical treatments to ensure proper water chemistry to keep your pool blue all year long. 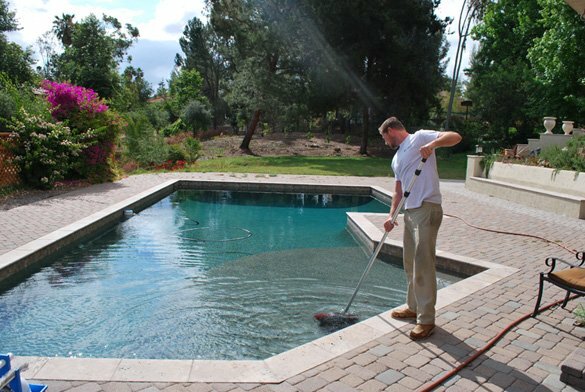 Weekly Brushing Pool Service Includes the chemical treatment of our Bronze package plus we sweep the steps, walls and bottom to keep dust and debris moving. We recommend this service package if you have a bottom cleaner. Weekly Netting Pool Service Includes all services of both our Bronze and Silver package plus light equipment maintenance and debris skimming top to bottom. We remove all debris larger than dime top to bottom. Weekly Vacuum Pool Service Includes all of the listed services above plus Vacuum services along with additional protective chemicals to lower chlorine and keep your pool pristine! It’s no surprise that a green swimming pool can cause so much attention from local authorities, as well as family members. Our highest requested service is “How fast can it back to blue?” Well that is why we offer four levels of Green-to-Clean Treatments. We do this to ensure your swimming pool transforms from a swamp creature spawning ground to a crystal clear clean blue swimming pool. From budget to NOW we have your pool covered. If your swimming pool equipment is tired and worn then you’re in luck. We offer the most energy efficient equipment known to man. We guarantee that our installations will provide you with a savings especially if your equipment is older than 5 years. Let us build you an energy efficient pool equipment layout that will pay for itself in monthly energy savings! Looking to buy or sell a home in Roseville, Granite Bay or Folsom ? Don’t Get Stuck with a Lemon! We provide the most accurate, real world pool inspections in Roseville, Granite Bay or Folsom. By receiving an Pool Inspection Service plus our report will ensure you do not receive higher costs later! Do not let your pool surprise you with expensive energy bills or cracked bottoms, get a pool inspection today! Here at Deja Blue Pool Service we are all about supporting our swimming pool customers. By personalizing each and every call received with a solution. We strive to always find the answers first and worry about cost later. By listening to each and every one of our customers on a daily basis to find that secret ingredients to make the pure perfect pool service possible for our customers. And we know we have exactly that. For 30 years we have improved our services to produce only the best. And we have a feeling you can tell the difference. If you’re looking for the best pool service company year after year, then please take a few moments and give us a Review Us Here. And share your love for Deja Blue Pool Service to keep us Rated Roseville, Granite Bay and Folsom Favorite Pool Service Company year after year for 30 Years! Afterall you’re neighbors wont know unless you tell them! Below you may follow past comments of what some of our customers have to say about our services and advice they would give you years later. We have serviced pools from as far north as Auburn, as far south as Elk Grove, as far west as Davis, and all the way up the Folsom and El Dorado Hills. We fear not distance! Most professional and informative pool inspection company in Sacramento (I always do my homework)! I had used this pool and spa inspection company for a swimming pool inspection on another property here in Sacramento a few weeks ago. After much effort, and a seller that didn't want to make a quality deal, we decided to keep searching. It didn't take long to find an even better property with a beautiful enclosed outdoor full room above ground spa. Our home inspector initially offered to “also cover this spas’ inspection”, however I knew they wouldn't do as thorough of a job or offer me as detailed of a report (based on my research no home inspection company offers a quality pool report don't be fooled!) which is what initially led me to Deja Blue Pool Inspections. They inspected the spa even in the pouring rain! And produced a written report that detailed all issues and solutions. I was then able to negotiate the maintenance issues right into the sales price, making this inspection literally pay for itself. If I had to use a Pool or Spa Inspection company in the future for Inspections, Repairs, or Service I would recommend this company. They are easy to reach (calls and texts!) and I can tell they honestly care and enjoy their service that they offer. I recently used Deja Blue Pool Inspections for my Pool Inspection in Granite Bay. I initially found three through a recommendation from both a friend who's an agent and my agent as well. They told me to be prepared to know everything about your Pool. Well that's the case. They went over everything from operation to condition. I will recommend them to anyone looking for expert level work. Impressed here. It was so good I can't even believe it's real. Even my deepest fantasies cannot capture what just happened to me when I had Nick come out and perform my Pool Inspection. Not only is he very professional, very personable, but also very well informed. And the best part is he answers all of my questions with no regard or worry of time. Um my home inspector spent 12 minutes explaining issues to me, for an entire house ! Nick spent almost an hour explaining, and orienting me on what's what and how things work. If you're a single lady around or near folsom and granite bay I'm sure you'll want to meet this up and coming young star. Wow. But if you're a home owner and buying a house with a pool you need to meet Nick. Guaranteed! 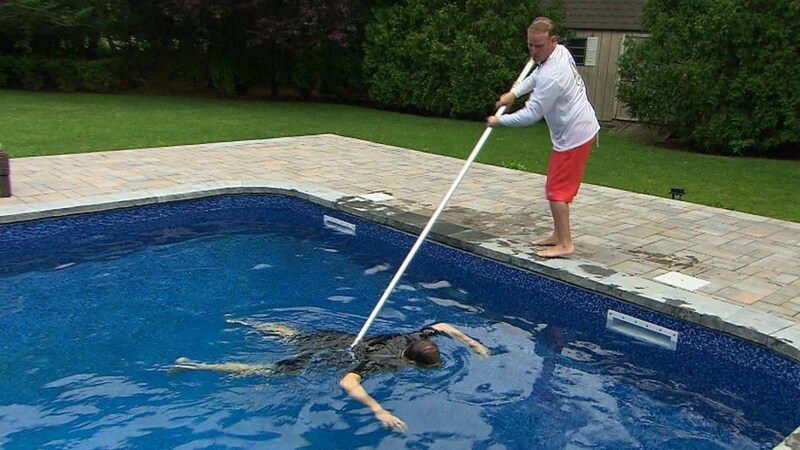 "My husband has been maintaining our pool for a few years now but to be honest he wasn’t doing the best job. We finally decided it might be time to find a professional. Finding Deja Blue Pool Services was easy and at a great cost we began to get regular weekly service. Deja Blue technicians always leave a note when they service my pool and are doing a great job making our pool looking awesome.Thanks guys!" Nick was great! Not only was I able to get immediate assistance by calling and texting Deja Blue Pool Service about booking my appointments but they offer a unique, clear, and professional written pool inspection report that is perfect for my clients. Plus when you're looking for immediate appointment booking assistance for realtors like myself they're always a fast text away. I recommend this company now for all my pool inspection needs in and around Folsom, Granite Bay, and Sacramento.